Habiter Autrement is an architectural practice directed by Swedish architect Mia Hägg, with offices in Paris and Locarno. The firm’s work is characterized by its attention to the site of a project, in the largest sense. Rather than working from an existing design motivation, the firm looks to reveal and direct the forces that are already present when they begin their research. This can include design moves that reference to an area’s history, reveal a geographical context, or expose a particular quality of light. Mia Hägg founded Habiter Autrement in 2007, after working on many large-scale projects with Herzog & de Meuron and Ateliers Jean Nouvel. Habiter Autrement’s working process also has an improvisational quality many of the firm’s designs are collaborations with other architects, as well as with individuals and companies outside the discipline. As a Swedish architect working in Paris and Switzerland, who has completed projects in Europe and Asia, Mia Hägg’s extensive international experience has given her a broad range of colleagues whom she often invites to collaborate with her. Since 2007, the firm has worked on projects of all scales. In the field of public housing, characterized by legislative constraints and limited budgets, frequently leading to compromised designs, Habiter Autrement has concentrated on rethinking the common assumptions of housing, looking for ways to go beyond the standard solutions often imposed by clients and construction companies. The office immediately gained recognition when it was awarded the first prize in a competition for five innovative public housing projects in Bordeaux, in partnership with Atelier Jean Nouvel (AJN) and developer ING Real Estate. Since 2007, Habiter Autrement has designed housing, stadiums, offices and masterplans, among other work. In 2011, three of the five Bordeaux projects were completed with Habiter Autrement as lead architect and, in 2012, the Lormont housing was awarded the Agora Architecture Prize. The jury, headed by Winy Maas of MVRDV, recognized the beauty of the project as well as the complexity of building on a site under the Aquitane bridge. 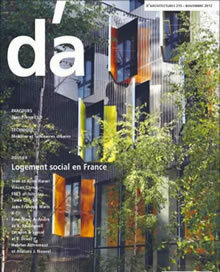 Two of the firm's other housing projects, Armagnac and Cenon, both received special mention in the competition. Founder and director of Habiter Autrement, Mia Hägg, has worked on some of the most innovative buildings of the twenty-first century, and with some of the most respected architectural practices around the world. She was educated at Chalmers University of Technology in Gothenburg and École nationale supérieure d'architecture de Paris–Belleville in Paris. From 1998 to 2001, she was employed by Ateliers Jean Nouvel (AJN), where she worked on projects including the Dentsu Tower in Shiodome, Tokyo. 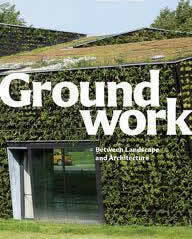 Her collaboration with Herzog & de Meuron began in 2002. In 2003 she was selected as the Project Manager for the National Stadium of the 2008 Olympic Games in Beijing, and she became an Associate of the firm in 2005. In January 2007, after nearly a decade working on mainly large-scale projects, she left Herzog & de Meuron to found her own practice, Habiter Autrement. 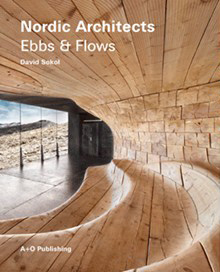 "Arvinius förlag is expanding its acclaimed list of architectural reference books with Nordic Architects - Ebbs and Flows. 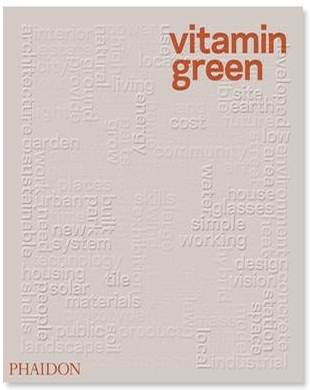 The book features world famous architects such as BIG, Wingårdh's and Snøhetta, as well as the exotic architecture of the Atlantic nations Iceland and the Faroe Islands, with local heroes such as Arkís and MAP arkitektar, alongside wit rising Scandinavian stars, such as Mia Hägg."